EIJC & Dataharvest is an annual, four-day conference, organised by Journalismfund.eu, which brings together journalism heavyweights, data specialists and coding whiz-kids to exchange skills and story ideas. EIJC18 & Dataharvest will take place on Thursday 24, Friday 25, Saturday 26 and Sunday morning 27 May 2018. Like last year, place to be is the charming city of Mechelen, 20 minutes outside of Brussels and very easily accessible! Address is Zandpoortvest 60, 2800 Mechelen at Thomas More University College - Campus De Vest. The conference hashtag is #EIJC18. Follow us on Twitter and Facebook for the latest news and updates. Journalismfund.eu vzw is an independent non-profit organisation under Belgian law that aims to promote quality in-depth and cross-border journalism by giving working grants to journalists, by providing networking opportunities and by organising training sessions. The Dutch police has invested heavily in social media. A few thousand Twitter accounts, several Snapchat-cops and even 2 police vloggers. They want to be transparent about their daily work and difficult choices, but forget one thing: the privacy of suspects and victims. During a one-hour workshop we teach you how to spot and trace privacy concerns in social media messages of the police or other authorities. Some specific skills, that you can pick up during this workshop, are setting up your own database, geolocate the addresses of suspects and victims, and how to consider those privacy issues during your storytelling. Thomas is a datajournalist and art director for Dutch public broadcaster KRO-NCRV. 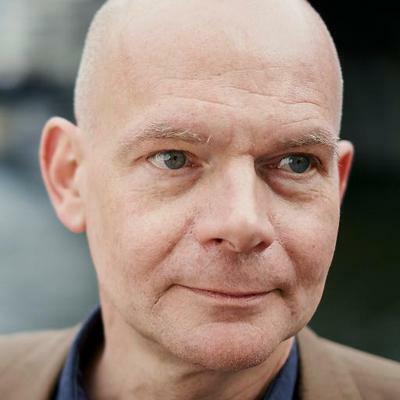 René Sommer is the Editor-in-Chief of the datateam for the Dutch public broadcaster KRO-NCRV. He is also in charge of the investigative online platform called The Monitor.